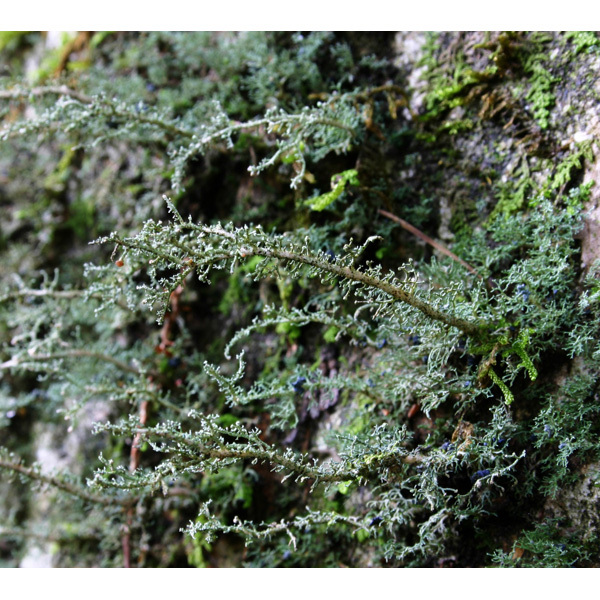 This lichen is rather common on rocks in humid places in valleys or gorges, mainly at lower elevations in central to western Japan. It is easily distinguished by soralia and sac-like cephalodia. Photo by H. Harada; ca. 750 m elev., in Omogo-kei Gorge, Ehime-ken, Shikoku, western Japan, 24 Sept. 2006.